Scolecodont fossil from Madison, Indiana (Jefferson County) found in the Whitewater Formation. This creature existed in the Ordovician Period. 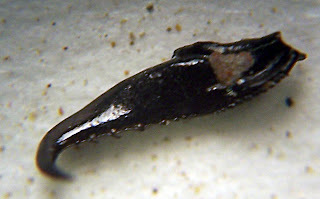 Using the Dry Dredger scolecodont identification web page, this appears to be a Lobogenys (magnified 40x). 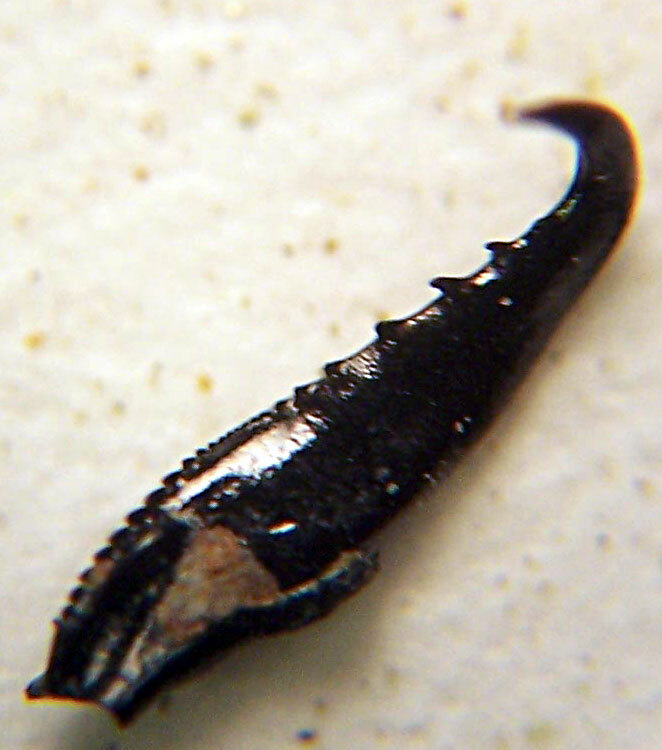 Note to reader, rest of images on page were taken with a microscope at 40x magnification. 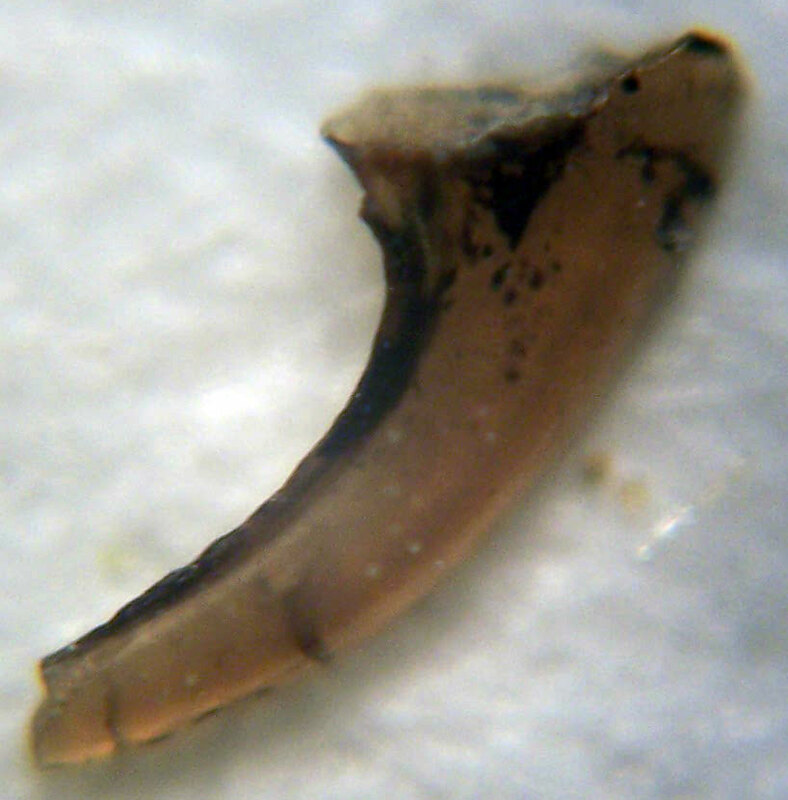 This next fossil with its amber appearance is some sort of conodont. This next scolecodont might be an Arabellite. 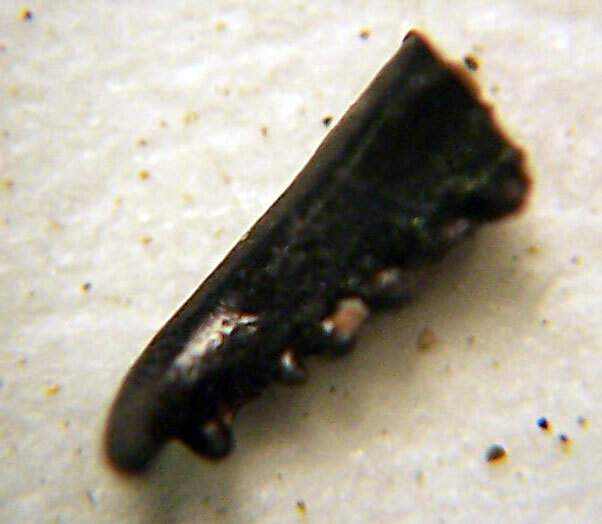 This fossil is close up of the same fossil pictured at the beginning of the post so it is a Lobogenys. 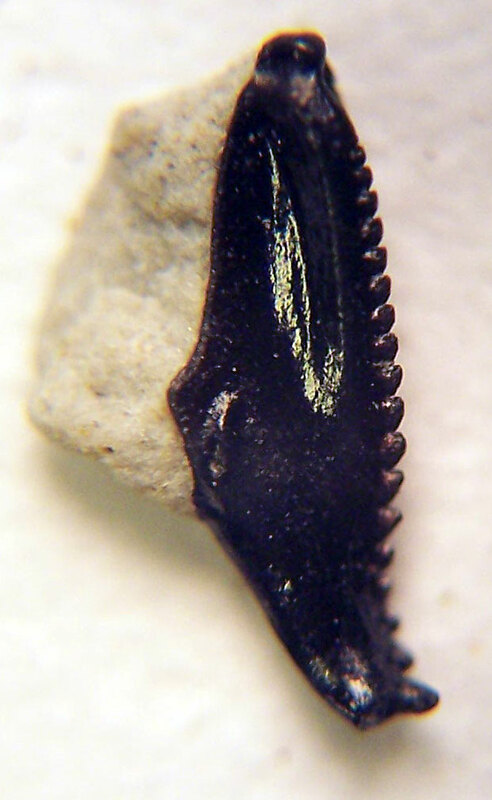 This next fossil might be a Lobogenys as well. 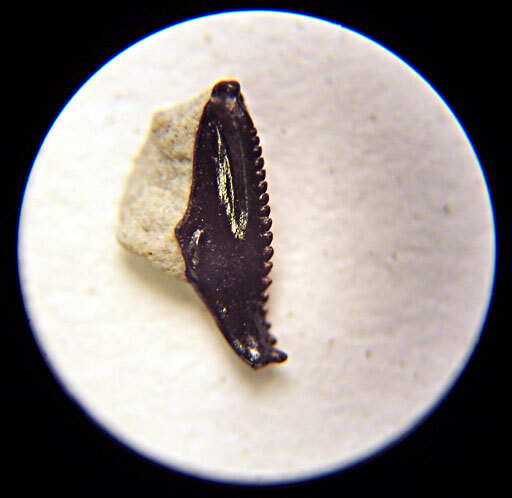 This scolecodont with a fang still intact is probably an Arabellites. This fossil could be a Colpogenys. Not sure what this scolecodont is since it is missing quite a few teeth. 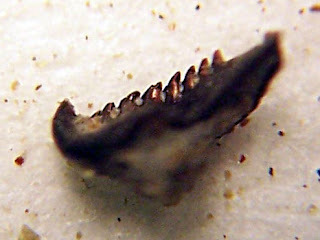 Another picture of the conodont shown earlier but photographed with a different type of light. Unknown scolecodont fragment is the last picture. Thanks to Kenny for the material to look through to find these. 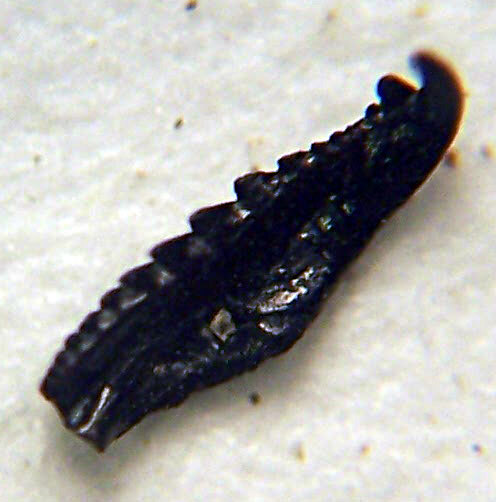 So far I have found 13 scolecodont pieces with four pretty much intact with one bag left to analyze.